Whether you call them mutts, “Heinz-57s,” or mongrels, mixed-breed dogs are truly something special. Of course, purebred dogs are a big deal to many people. With well over 100 dog breeds recognized by the American Kennel Club, there is a breed to suit nearly any lifestyle and personality. However, there are millions of mixed breed dogs that die in animal shelters each year because there are simply no homes available. Before you buy your next purebred dog, consider the magic a mixed-breed dog can bring into your life. Just remember, as with anything, there are ups and downs to consider. Every dog is unique, even purebred dogs. 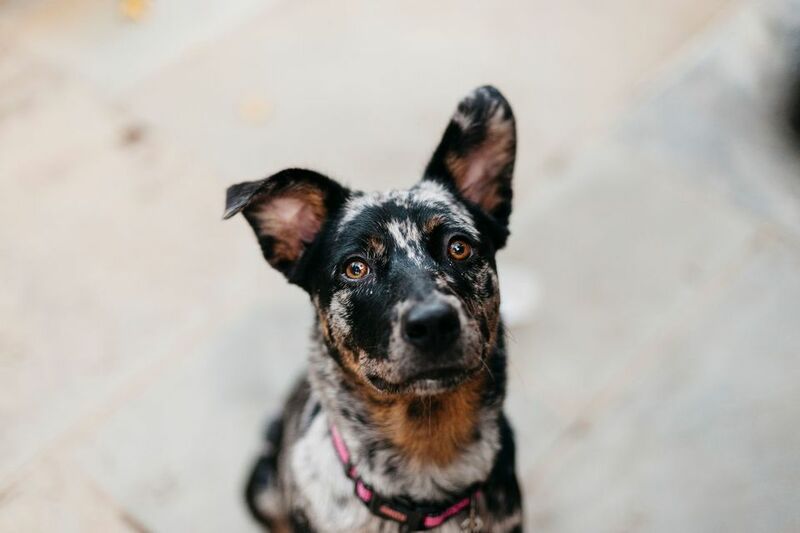 Purebred dogs have their own personalities and usually show minor differences in appearance.​ ​However, each mixed-breed dog is one of a kind. Even if you meet a similar dog, no two are quite the same. Yes, even purebred littermates are genetically unique, but your mixed-breed dog truly stands alone. It can be fun guessing the breed origins of your mutt. If you really need to know, ask your vet about easy, affordable DNA testing which can identify several dog breeds. DNA testing is not 100% accurate, but technology continues to advance. Whether you know your mutts origins or not, your mixed-breed dog will hold a special place in your heart. You will never find another quite the same. Mixed-breed dogs are not necessarily predisposed to hereditary problems. This is not to say your mutt will be perfect, but mixed breed dogs are less likely to possess breed-specific hereditary heath and behavior problems. If your dog is a Labrador mix, she could still have hip dysplasia, but it may be less severe because the breed is basically “diluted.” A Chow mix may be less likely to have aggression problems than a purebred (though not all Chow Chows are aggressive). Although any dog may have serious hereditary problems, it may worth the risk to get a mutt. However, while the mystery of a mutt can be exciting, it is important to prepare yourself for a few surprises along the way. If you decide you are ready to get a dog, you can go to a local shelter or rescue group and find your new dog today. There is no need to wait for puppies to be born and then weaned. Dog adoption is also less expensive than buying from a breeder (but there will be adoption fees). If you choose a reputable shelter or rescue group, you may be able to find out a lot about the dog's personality and health. Be sure to avoid questionable sources or you may end up with a dog that has a host of problems. Whether you decide to get a mutt or a purebred, please know there is no right or wrong. Follow your heart. However, if your heart says to save even one of those darling mixed-breed dogs from homelessness, then good for you! If you cannot decide between purebred and mutt, consider one of each if your lifestyle is fit for more than one dog. No matter what type of dog you choose, your life will be forever changed!